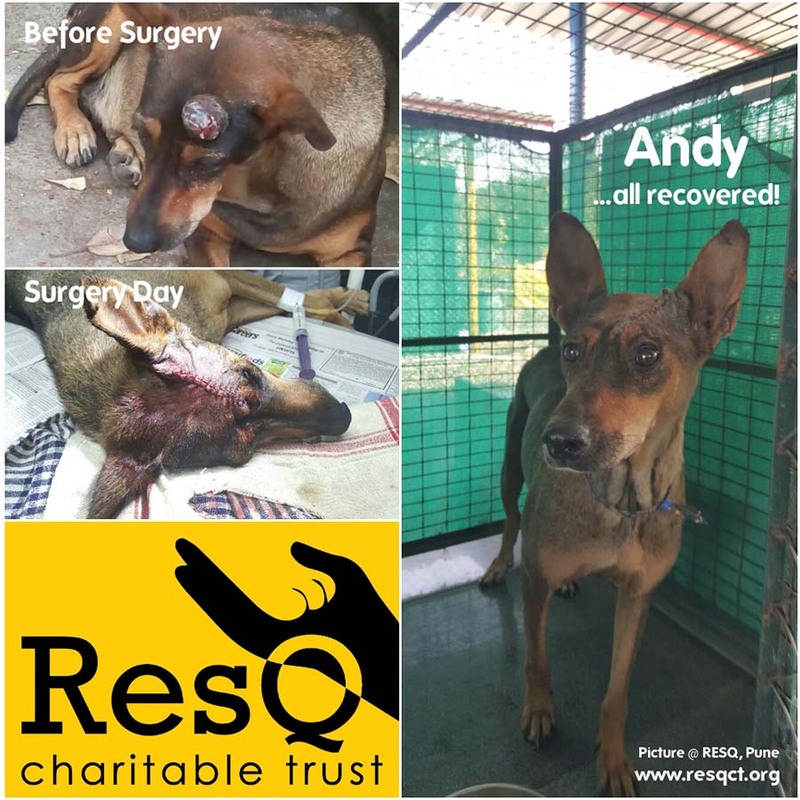 RESQ Charitable Trust - It's time for Andy to go! This sweet fellow came to RESQ with a tumour on his head. He was in a lot of pain and discomfort. Andy, we named him, had a surgery, his tumour was excised and he has now recovered beautifully! He definitely seems happier and greets us with a lot of loving wags and licks! As much as we love having these happy souls around our RESQ centre - he is now fit for release! Happy animals, happy stories... the kind that make us want to go on!